Liz has more than 10 years of clinical experience in the healthcare field. Her healthcare experience includes working as a registered nurse in emergency medicine, intensive care, trauma and forensics. Her legal training and clinical background give her a unique advantage in counseling healthcare providers with everyday legal challenges such as regulatory compliance, professional licensing and government investigations. Liz represents physicians, pharmacists and long-term care providers before professional boards and government agencies, contests deficiencies on behalf of long-term care facilities through informal dispute resolution and the federal administrative appeal process, and assists with defense and maintenance of professional licensing. She also provides medical malpractice defense and assists healthcare organizations in responding to government investigations, audits, subpoenas and complex document production requests. A multifaceted litigator, Liz has experience with all phases of litigation, including case strategy, discovery, motion practice, settlement negotiation and trial. 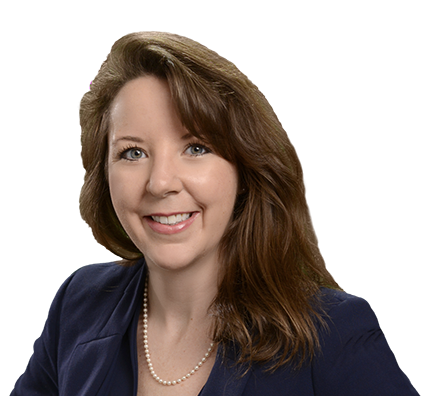 In addition to her healthcare practice, she advises and represents local government entitities and political subdivisions in a variety of matters, including land use litigation, statutory compliance and administrative cases. Assisted skilled nursing facilities in overturning or reducing citations and other sanctions through federal appeals process and informal dispute resolution. Represented professionally licensed individuals such as physicians and pharmacists before their respective licensing boards. Obtained early dismissal of civil action brought against Fortune 500 company. Represented government entities in administrative hearings and civil litigation.